MINNEAPOLIS & REHOVOT, Israel — Apr. 23, 2018 — Stratasys (Nasdaq: SSYS), a global leader in additive technology solutions, today announced it is seeking beta customers for a new software designed specifically to improve the Stratasys Additive Manufacturing solution for the production of jigs, fixtures, and other manufacturing tooling. 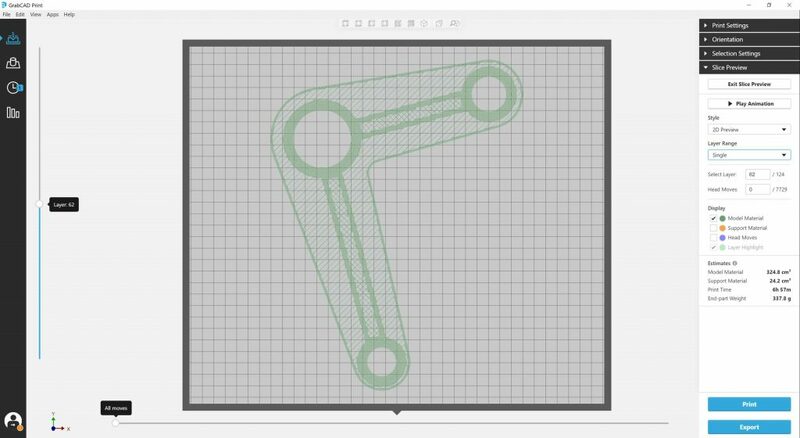 This new software component — called Jigs and Fixtures for GrabCAD Print — simplifies and automates print preparation for rapid tooling applications. This addition to the company’s solutions for rapid tooling further enhances the use of Stratasys’ robust industrial hardware and materials for creating Jigs & Fixtures on the factory floor. Jigs and Fixtures for GrabCAD Print expands upon the capabilities offered in Stratasys Insight to streamline the toolpath planning process; increasing ease of use, reducing time and costs to create jig and fixture parts, and maximizing the value for Stratasys’ Additive Manufacturing solutions. By accepting native CAD designs, the part’s original design intent is maintained. This eliminates the need for users to convert their CAD design to an STL file, which can result in key information being lost during translation. Eliminates extensive design and processing knowledge as a barrier to implementation, opening up jig and fixture CAD design to more users, even first-time designers. Saves time and eliminates unnecessary iteration during the design and processing phase. Eliminates the need for formal software training because it’s simple and intuitive to learn. Eliminates need for third-party software, including STL-file fixing applications,due to its ability to accept native CAD designs. Simplifies workflow by automating key CAD functionalities used for jigs and fixtures design, such as auto-generating toolpath instructions, and it significantly reduces tedious file preparation tasks. Learn more about the Stratasys Jigs and Fixtures and GrabCAD Print solution. Those using Stratasys 3D Printers for jig and fixture or manufacturing aids production and would like to participate in the beta software program may contact Stratasys at: Info.grabcad.com/beta, and select “Jigs & Fixtures” when completing the registration form.